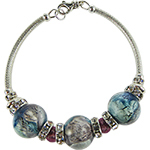 Mixing classic elements from traditional Murano glass creations, our bead makers have created the richly patterned Venetian beads that are the focus of bracelet. 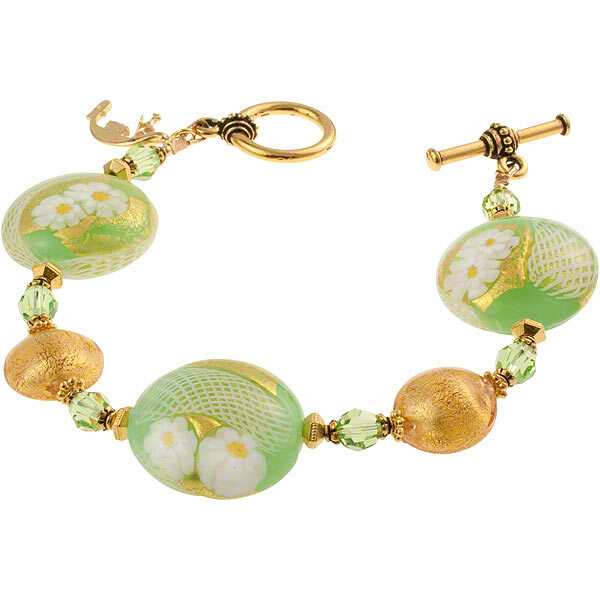 Starting with a soft-toned green glass, the focal beads on this bracelet are patterned with yellow daisy millefiori, gold foil and white zanfirico cane. 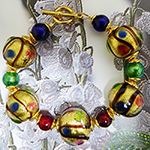 This elegant bracelet is further accented with matching gold foil Murano glass beads, Swarovski Crystals and our signature gondola charm. 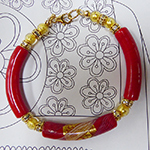 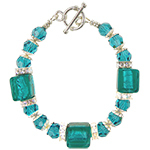 Fits 7 to 7 1/2 inch wrists.